The tornado warning issued around 5:30 tonight was canceled. But a severe thunderstorm warning — with wind gusts up to 60 miles an hour — was just issued, through 7:15 p.m.
And a tornado watch remains in effect until midnight. 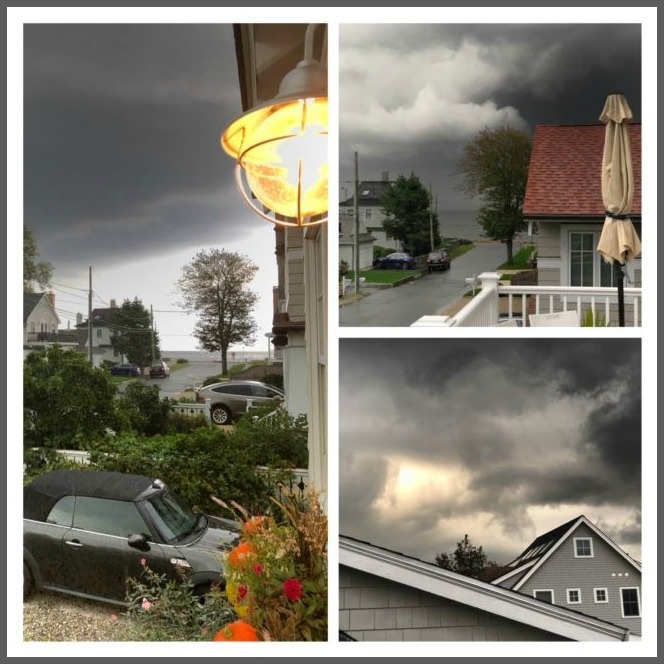 Alert — and fearless — “06880” photographer Patricia McMahon snapped these photos a few minutes ago near Compo Beach. Get that lawn furniture in. And know where your batteries are! This entry was posted in Beach, Weather and tagged tornado. Bookmark the permalink. Oh, is it already Tuesday again? That certainly explains the present flood conditions. So glad I spent the last week drying out my cellar. Fine, whatever. I actually took my children and our cats into our basement when we got the warning on my phone. We hung out down there until the dark red of the storm passed.